The online retailer, Amazon, is launching mobile ads on its shopping app in a bid to take a chunk of the $129 billion digital advertising market currently dominated by Google and Facebook. How is Amazon’s mobile advertising offering set to work? Amazon will be selling video spots which will appear on search results on their smartphone shopping app. The ads will be short and tailored to the search criteria entered by the user. Each ad space can contain a brand logo, item photograph and a description and will be bought programmatically. The complete roll out date for video spots has not yet been revealed though Bloomberg reports the service has been in beta testing on iOS for several months now. Why is Amazon launching a mobile advertising suite now? Video ads open up a new opportunity for Amazon to generate more revenue. Currently, Amazon sells the equivalent of static digital billboards on their apps. By supporting video the ad space becomes a platform for small television commercials. This moving content has a greater ability to capture the attention of the consumer, especially across its eCommerce sites and onto platforms such as Amazon Prime. Equally though, it also offers the chance for Amazon to enter the wider mobile market. This allows it to continue its steady advertising assault on both Google and Facebook, which has been developing over the past few years. Where does this advertising fit within Amazon’s business and within trends in the consumer market? Adding video ads mobile comes after a long march towards displaying more product-related video content on Amazon. Platforms such as YouTube and Instagram have helped make video advertising an essential part of the mix. While subscribers may be focusing more on the influencers they’re interested in following at first, the presence of video advertising between stories, in feed or pre-roll has helped advertisers target who they need to reach. This can be seen in the forecast ad spend on video. Brands are predicted to spend nearly $16 billion on mobile video advertising this 2019, according to eMarketer, which is a growth of 22.6% from last year. It, therefore, makes sense for Amazon to tap into video advertising on mobile devices as soon as possible. By offering another area for advertisers to purchase video inventory and linking it closely to its eCommerce activities, it offers a natural way for brands to encourage consumers to purchase through Amazon. To what extent does this move threaten the other big players in the market? Amazon already stands at a considerable advantage to Facebook and Google, since 50% of all online sales in the US go through the retailer. The question is whether it can then add a viable ad business to its core offering. At the moment, Amazon is on the up. eMarketer reports Amazon’s digital advertising market share hit 6.8% in 2018 and it is due to grow to 8.8% this year. This is before the announcement of mobile video advertising inventory, which could push that up higher. However, Amazon’s market share is currently some way back from its rivals. Google is the current market leader in the digital advertising market. They made an estimated $42 billion last year from the US digital advertising market alone and held a global market share of 38.2% in 2018. Facebook, meanwhile, sits on roughly 19% of the overall global advertising market. This gives Amazon a hefty cliff face to climb. But the duopoly’s grip on the market is beginning to slip. eMarketer predicts that Google’s ad share will decrease to a 37.2% market share this year, with Facebook continuing to plateau at 19%. The question for Amazon is whether its ad offering will be the one to take additional market share or if it will, instead, lose track to competitors such as Snapchat. What’s the best way to get started with Amazon’s ads? Video ads will be made available through Amazon’s performance marketing platform, AMS (Amazon Marketing Services). Advertisers will pay on a cost per view basis rather than cost per click. 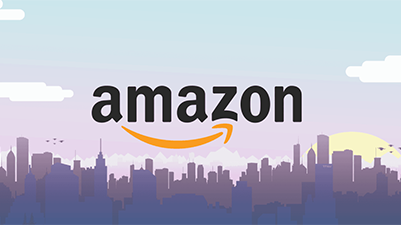 Amazon will require a minimum $35,000 ad budget to run a video spot for 60 days at five cents per view. This does suggest a clear problem with Amazon’s offering compared to its rivals, namely the prohibitive campaign price for smaller companies. But agencies and brands with a significant budget will be tempted to come on board. Launching video ads on its mobile platform is likely to widen Amazon’s revenue streams and increase the retailer’s digital advertising market share. While Google and Facebook are still the market leaders, the move could see them gain a deeper share of the market overall. This is good news for advertisers. Amazon’s video ads provide a unique opportunity for advertisers to show their products to engage shoppers in new ways, all on one of the biggest product platforms in the world. But campaign costs will need to come down to allow more companies to play in the space.